Ditto on the cramps increasing as you age. You haven't lived until you wake up at 3 in the morning in massive pain. Once I hit mid-60's (I'm now 70), my cramps increased. About a year ago, they began to appear daily, almost always at night; sadly not unusual for an older person I have found out. I take daily magnesium and potassium supplements, the potassium supplement I am taking is on a time release - brand: Jamieson. I didn't use to take the 64 ounces of fluid (8 tall cups) a day seriously but now I do, the majority reason I cramp is slight dehydration. Start with the obvious and cheapest, forget the electrolytes and just try plain water but make sure your intake is 64 ounces for the day, everyday. For old farts, drink the majority of your water before 6 PM (those of us with prostate problems, which at my age is just about every male aged 70 and above). Ditto on the cramps increasing as you age. You haven't lived until you wake up at 3 in the morning in massive pain. Personally I think it's related to the amount of exercise you do more than age, when I was 14 to 17 was playing squash at county / competition level and the pain was so about I had to wake someone up (was a boarder at a boys school) to pull the sheet / blanket off me and pull my leg over the side if the bed as the pain was so bad it was completely debilitating and I literally couldn't move them on my own. I haven't had cramp anything near as bad as that in the 40 years since but have started suffering to a far lesser degree since taking up cycling more seriously and doing far greater distances 2 years ago. What kind of bike are you riding? How was/is your general fitness level? How often are you riding these 20 mile rides and 7% inclines? What kind of fitting did they do at the shop (i.e. 30min bike sizing fitting vs hours long fitting vs days long fitting)? These make it easier to measure out about how much I need. Plus I make sure I eat a lot of bananas for potassium, and take magnesium supplements for a couple days before a long ride. Bikes: Yup, a blue one,and a silver one! I can relate to the OP's issues. I raced for a few years in my 30-40's, when I lived in Cozumel, Mexico (1990-2000's) , and though i was very diet and hydration conscious, I was plagued with late-race quad cramps. I was frequently in the small breakaway at the end of the race, but rarely had anything left to contest the finish with. I naturally considered all the usual suspects ( dehydration, deficiency in electrolytes,etc. ), and worked hard to minimize those as being the cause. I heavily researched the issue, yakking on the bike forums, and tried several highly rated supplement drinks, made for pre,during, and post ride, and nothing seemed to work, at least not consistently. I suspect it could been a genetic predisposition, and/or my "advanced' age, as well as riding in a very hot,humid jungle environment (though i was highly acclimated). I even had a couple freinds, one a massage therapist, and the other a chiropractor, who used to hook me up regularly, and even those never really helped (that I could tell). Last edited by Brocephus; 07-11-18 at 01:23 PM. I would suggest getting to your Dr. It could be any number of things including blood clots. Go to the doctor to rule out any medical conditions. I got some serious cramps at night when I got to my 50s. I tried everything. I got my back MRI and nerves tested. I had Complete blood work up. Nothing. I'm mostly vegan now and mostly cramp free. Some of my night cramps would result in bruises that would last a couple days. Crazy stuff. I would dread going to bed because of the cramps that would visit me in the night. Nobody knows what causes cramps. Here is something else to try: On the Belgian Waffle Ride, I started cramping after about 90 miles. At the Oassis, there were some beers left. I drank a Silver Bullit and finished the 130 miles strong and cramp free. That happened two years in a row. Just a 1/4 to a 1/2 cup of that stuff added to a water bottle, on a hot day in the middle of nowhere, can literally save a ride. Doesn't take up much room in a seat bag. And the stuff is dirt cheap and easy to find at any grocery store. A 51 ounce can costs less than 10 bucks, and will last several years. I'll mix it up in one water bottle and then switch between it and another bottle with plain water. I also don't make it too strong because I prefer it a little weak, but strong enough to replace electrolytes. Since I tend to sweat a lot, it's very much needed. Wearing wicking fabric means I sweat more than I realize in hot weather, it just evaporates quicker, so staying hydrated is critical. Indeed - before I figured that out I had a couple of incidents of post-ride vomiting from drinking only water, now I know to be careful of that but cramping does still happen if I get lazy about spiking my water with electrolyte tabs. OP's reported water consumption seems a little low for that but I guess everyone is different. I also typically have at least one foil packet of oral rehydration salts in my first aid kit - formulation may not be ideal but seems an improvement over water in a post-bonk or long train ride back situations where I've come to realize pure water is effectively all but toxic. Thanks for the reminder that I need to go back to doing this. I've been being lazy and just buying it in liquid form since where I ride I typically have to pay for water anyway. But that leads to needing to make decisions between water and sports drink purchase or both, wheras what I prefer to to do is buy a 3 liter or gallon water bottle (typically the cheapest almost without regard to quantity) to refill everything, wash out my headsweats, soak my sunsleeves and wash my face. 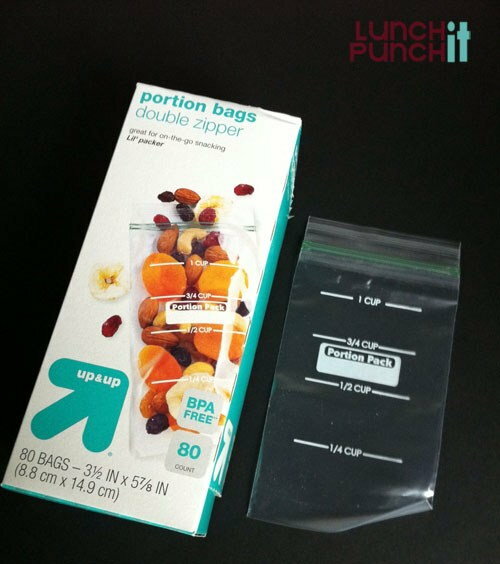 Packing baggies of drink mix would let me get both from one water source, especially the town recreation complex sink I survived filling a bottle from this week. On really hot days I'll even put an electrolyte tablet in sports drink. Ironically was fine on my longest ever ride this week, but a week previous about 36 miles into a 49-miler, behind schedule on a 93F afternoon took a spill and ended up sitting on my rear on the trail with my legs completely and utterly locked both ways in cramps, unable to get up as doing so would require shortening one of the complaining muscles. Someone passing the other way was nice enough to wait until I'd managed to finish moaning and got my legs under me. Ended up walking about a quarter of a mile to stretch out, downed some more electrolyte mix, got back on and pedaled slowly for the next mile to a planned rest break, concentrating on stretching muscles. I've been wondering about how much pre-ride matters and over what period. I'll often get four bananas from my corner fruit stand the night before, eat one immediately, one in the morning and then see how far up the trail I can get the remaining two before they turn to mush. Should I be starting in on them longer in advance of the ride? Related, say one gets 5 miles into the ride and realizes that the bag of food and tube of electrolyte tablets are still on the kitchen table. Typical pharmacy/ convenience store coming up, so bars and sports drinks are easy, but what general market consumer supplement substitutes for electrolyte tablets? Ended up wandering up and down the aisles for a bit, finally just rode off pinning my hopes on the bike store 2/3 of the way through the trip - which fortunately was open, and did have Nuun tabs. I'm not a doctor or a scientist, but I wonder if sweating out so much salt & other electrolytes and then only drinking water is similar to bringing on water intoxication? Actually, I just found this article: https://www.webmd.com/fitness-exerci...r-intoxication which suggests that very thing. I'm not a doctor or a scientist, but I wonder if sweating out so much salt & other electrolytes and then only drinking water is similar to bringing on water intoxication? . Yeah, this has long been well established, you gotta replace lost carbs and electrolytes beyond a certain point, not just the lost water, or performance suffers (potentially to the point of something medically serious). After reading everyone's feedback I tried a few things. I quit stretching pre-ride and started just stretching every day but specifically after riding. I also changed how I ride in terms of allowing myself to build into my ride instead of just going full bore the second I got my foot on a pedal. I now am starting at whatever pace I can do without pushing myself and noticed that about over a mile or mile and a half my pace and cadence build to where I want it to be without over exertion. I also am experimenting with sports drinks. I tried PowerAde Zero and didn't care for the taste or mouthfeel. Bought another drink called Body Armor Lyre, and I like it better. I used PowerAde on a 25 mile ride with two decent hills, 7% grade and 5.6% grade and only had some very minor tightening in my left calf towards the end of my ride but nothing that slowed me down. Used Body Armor on the same ride and had no issues. I guess let's see what happens as I go forward, but thinking I (with all of your help-thank you) might have figured this out. This is worth a try. I tried it on a whim not knowing whether it would work. I didn't even know anyone who had tried it. It absolutely works for me and it works very well. When I rode RAGBRAI I ran into a number of serious cyclists and triathletes who used it and swore by it. I also get good results from Sport Legs. Others swear by pickle juice and magnesium supplements but for myself, Sport Legs works within minutes. Sport legs has a moderate amount of magnesium in it. I tried PowerAde Zero and didn't care for the taste or mouthfeel. The lack of sugar also defeats half the purpose. A formulation like that is more to avoid the "sugary drinks" categorization for casual consumption where the sugar would have an "obesity epidemic" role, not for endurance exercise where sugar actually is appropriate. 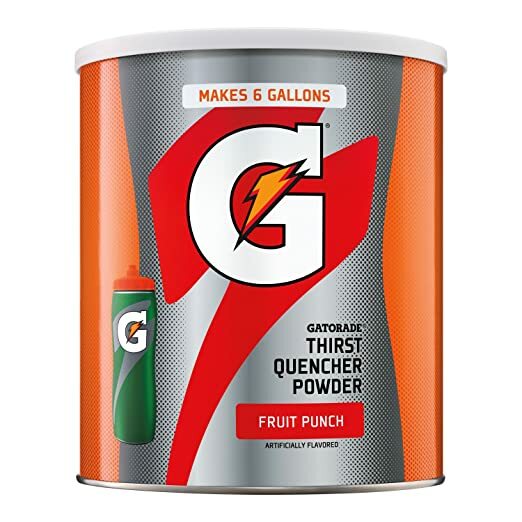 For just the electrolytes without the sugar, things like electrolyte tablets let you get that by filling your bottle from any source and dropping one in. But do a long ride in hot weather and you need more than that. And yes I'll admit that being a little heavier than I should be it's ironic that almost all my riding occurs in many-hours endurance circumstances where I'm eating what at any other time would be considered empty calories. Last edited by UniChris; 07-14-18 at 01:00 PM.